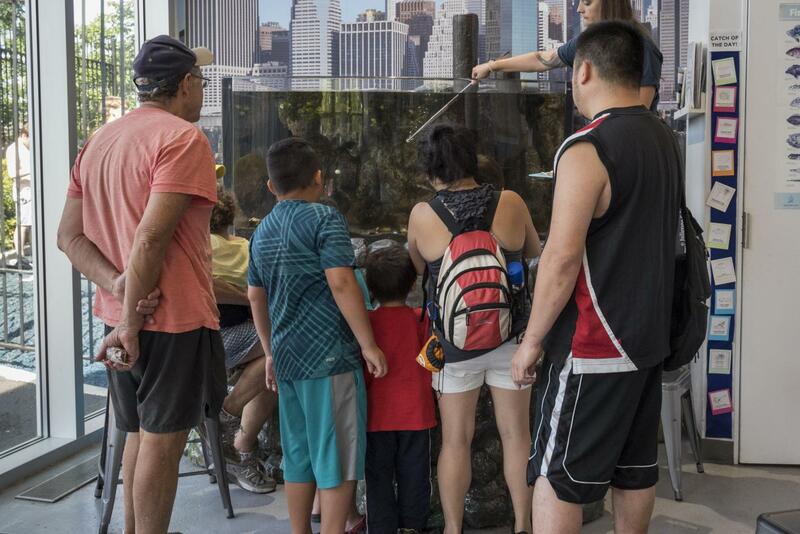 The Conservancy’s Center provides multiple interactive elements including an East River Aquarium, a Discovery Station with a 10’ scale model of the park, and more that offer an in-depth look at the park’s ecology, history, and sustainable design. 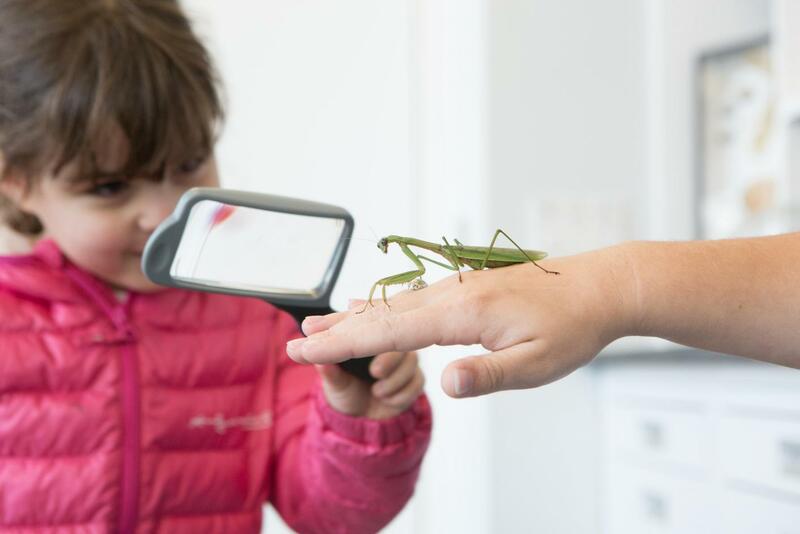 Brooklyn Bridge Park Conservancy’s Environmental Education Center is a new, year-round space designed to house our thriving education program which serves over 10,000 school children each year. 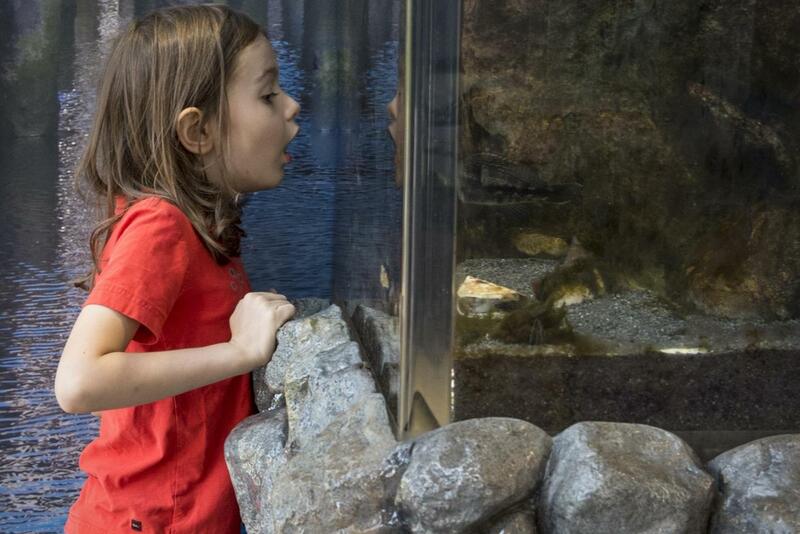 The Environmental Education Center is open to families and park visitors on weekends as well as for after-school hours. Share all your Ed Center experiences on social media by tagging your posts with #edcntr. 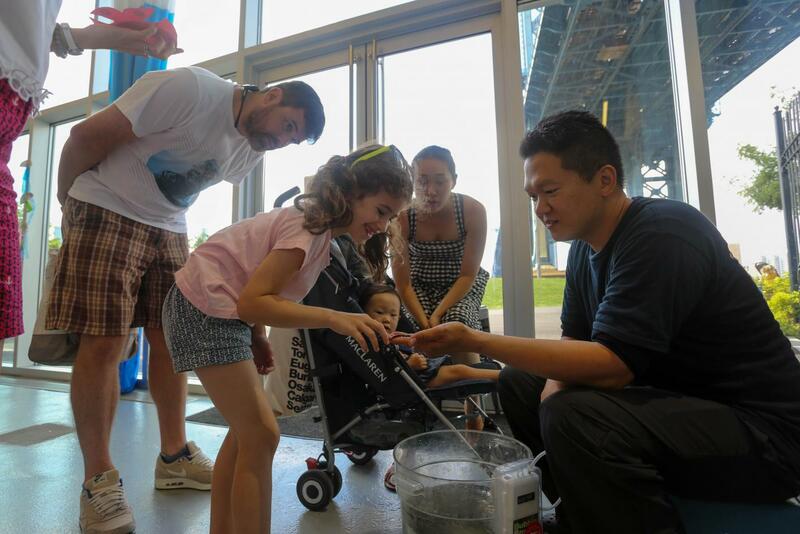 Park visitors can drop in for self-guided exploration of our signature exhibits and interactive activities. *Open hours are subject to change. Enhance your Park experience by borrowing a Cove Kit from the Ed Center! These kits are filled with several family-friendly items such as an activity booklet and crayons, nature field guides, binocular, and more! Cove Kits can be checked out from the Environmental Education Center during Open Hours. An early childhood program for curious little scientists! Offered in Spring, Summer, and Fall. Each semester consists of eight Wednesday sessions from 3:30PM-4:45PM. Sessions begin inside the Ed Center and last for 75 minutes. Each session will include song circles, interactions with animals, puzzles & sensory activities, and a short outdoor experience. The cost for the program is $318. 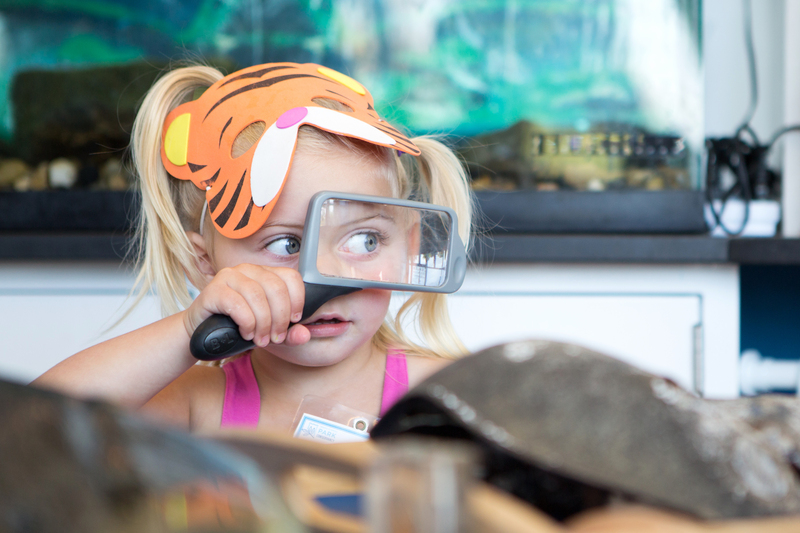 Conservancy Members at the Family Plus Level and above receive a $25 discount. This program is for ages 2 - 4 years old. A guardian must accompany the child at all times. 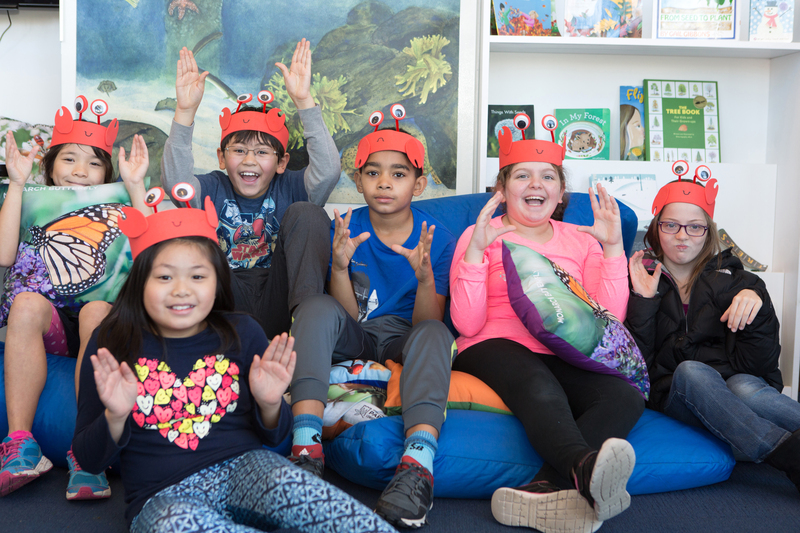 Spring registration is now open: Wednesdays, April 3 - May 22 Book online now! Celebrate in Brooklyn Bridge Park! Book a session in the Ed Center for a birthday party, a scout group or for a fun morning for your child and friends! 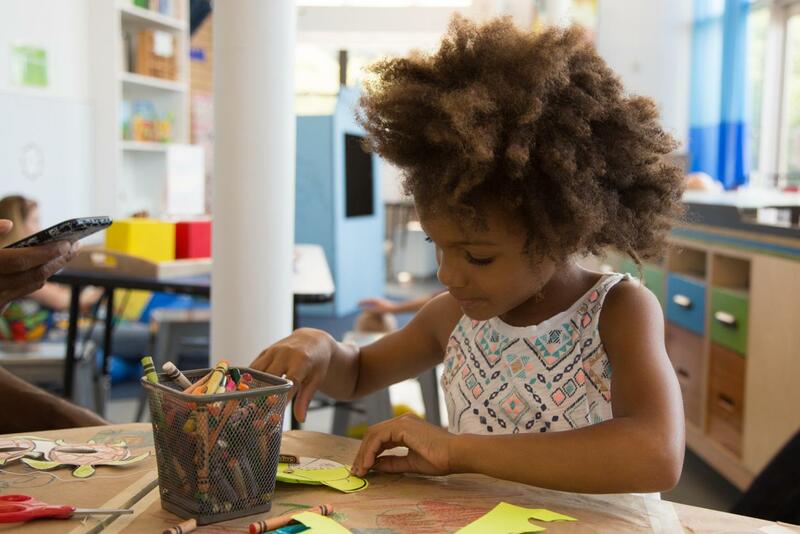 Discovery Sessions are jam-packed mornings full of fun! Children will get a chance to partake in an awesome nature game, a super special craft, and a meet and feed the animals. Each session is tailored to your child’s age group so each experience is unique! 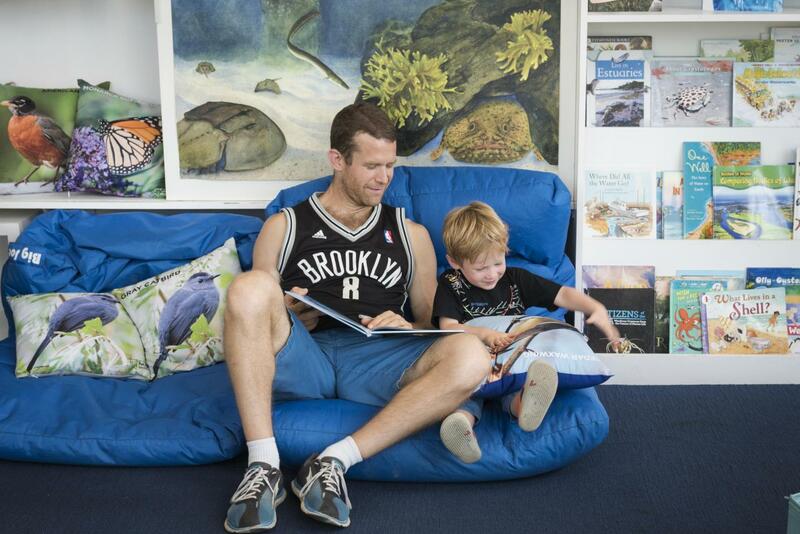 Conservancy Members at the Family Level and above receive a 10% discount. Click here for a sample schedule of a Discovery Session. Click here for Discovery Session FAQs. 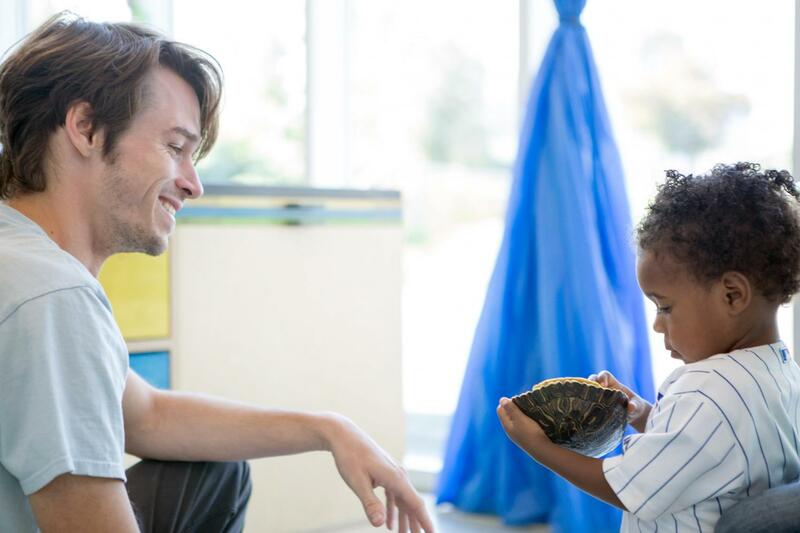 For more information about the Environmental Education Center, please contact the Education Department at education@brooklynbridgepark.org.